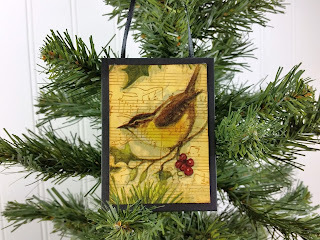 I got an itch to create some winter bird ornaments, and this is the result. 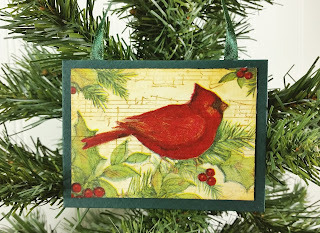 These ornaments measure 3-7/8 x 2-7/8 inches - collage melded with beeswax, mounted on heavy mat board and backed with decorative paper. All are available in my Etsy Shop. 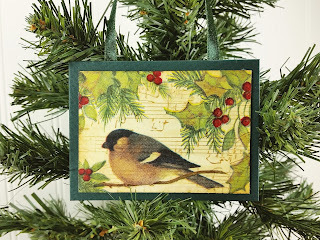 Your musical backgrounds are so perfect for these darling birds. Well done!